REGISTER TODAY FOR YOUR FALL TENNIS PROGRAMS! "I just wanted to thank you for the amazing day we had. I have to say all the pros were wonderful. Not only do they know the game, they interact with the children in such a caring, kind way. The kids had a blast! To be honest with you I think this was the best event we have had in my 20 years of teaching. Thanks again!" Milford Indoor Tennis offers tennis instruction and competitive programs for adults of all skill levels. We have programs for the most competitive players as well as players looking to play socially, stay active, and have fun. New to MIT! Pickleball is a paddle sport created for all ages and skill levels. The rules are simple and the game is easy for beginners to learn, but can develop into a quick, fast-paced, competitive game for experienced players. Parents have trusted Milford Indoor Tennis to help players ages 5 - 17 develop tennis fundamentals and passion for the game. 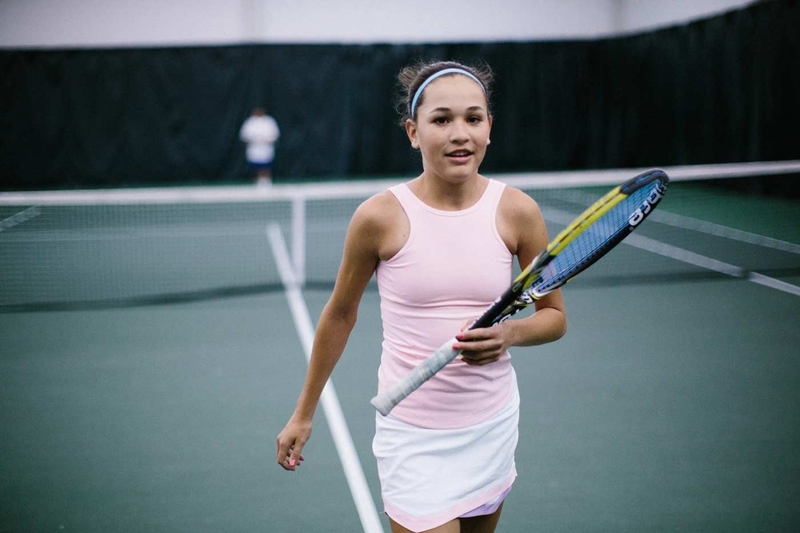 We offer a variety of lessons and competitive programs made just for junior tennis players, and we were one of the first to adopt the USTA 10 and Under Tennis format, now the industry standard. Reserve a US Open DecoTurf cushioned court, equipped with the latest full-court no glare lighting, and so much more. Rent a court for the entire season or for an hour, and have access to season court lessons, too.